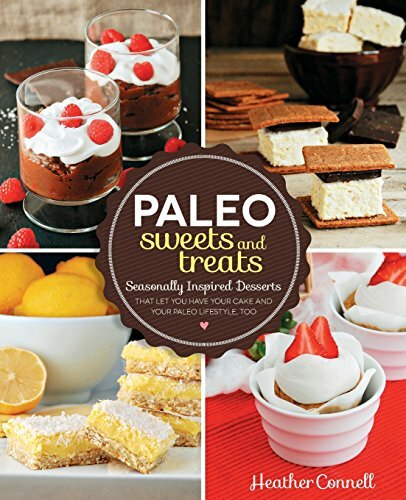 Finding paleo desserts is something that I’ve been struggling with. I don’t have a huge sweet tooth but every now and then I would like something more than a piece of fruit to snack on. I don’t always have time to make a complicated paleo dessert using alternative flours, etc. I want something that will be relatively quick and easy. An added plus would be paleo desserts that I can make in the crock pot. 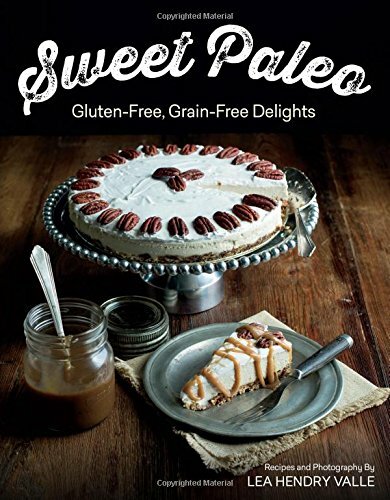 When I received The Paleo Slow Cooker for a feature on this site, I immediately started looking for paleo desserts. This post contains affiliate links, and I will receive compensation if you make a purchase after clicking on my links. I made about a quarter of this recipe since it was only me enjoying it. It still came out perfectly in the slow cooker so whether it’s you or a crowd, feel free to adjust down if you need to. I left out the coconut rum that the recipe called for since we do not drink or use alcohol in our home. Supposedly, you can purchase coconut cream in some grocery stores. Of course, our little grocery store did not have it so I made my own by using the thick part of canned coconut milk whipped with a tiny bit of added stevia. It’s not an exact replacement for whipped cream but it’s not a bad alternative. Place the bananas in the slow cooker and top with walnuts and coconut flakes. Mix together remaining ingredients, except the coconut cream, and pour over the bananas. Cook on low for 1 1/2 - 2 hours, or until bananas are tender, but not mushy. Place on plates, pour coconut cream over the top and serve. Most paleo desserts I’ve found are more time intensive but I love that this is something I can begin when I start dinner and then ignore until it’s dessert time. It requires very little actual hands on preparation time. Besides melting the coconut oil, you basically just toss everything into the slow cooker. It is lightly sweet from the bananas and the honey without being so over the top that it ceases being paleo. You could easily substitute maple instead of the honey or reduce the amount you use if that’s your preference. If you’re looking for paleo desserts that are easy to prepare and delicious enough to tempt even a non-paleo, you need to try Paleo Banana Coconut Fosters. 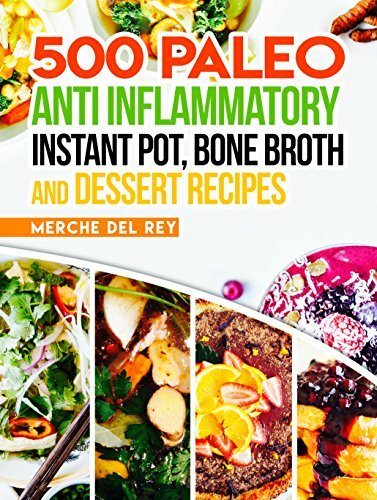 This recipe and many others can be found in The Paleo Slow Cooker: Healthy Gluten Free Meals the Easy Way by Arsy Vartanian. This is looking like a way of eating that I could stick with for the long haul! This looks so yummy!!! I've never actually had any type of bananas foster before! This looks really good, and I love bananas! I eat them for a snack or a quick on the go meal all the time because they're so filling! I haven't tried bananas foster, either. Looks like an interesting combination and great for those avoiding gluten. Lemon, coconut, and banana together -- yum!! Oh I like that it's easy to make, desserts need to be easy in my home! That looks amazing and so simple!! This looks like a treat my daughter would really enjoy! I got a new Crock Pot for Christmas and it came with a mini so I'm going to try and make this today. I always have tons of bananas. This looks pretty tasty! I always have bananas in the house! this looks awesome!! i've made bananas fosters in a saute pan but i love crockpot recipes since i don't have to keep an eye on them. this is my kind of decadent dessert. This looks wonderful! I have never made my own bananas fosters before. Looks like a yummy dessert. I have never had bananas foster but it sounds good. i haven't ever had bananas foster but i feel like i've been seeing it everywhere lately. i need to make it! Thanks so much for sharing, Cindy! Will link up soon! Hello? The last time I checked, vanilla extract was made with alcohol. Vodka, to be exact. The only non-alcoholic ones are made with corn syrups and glycerines, therefore making them unsuitable for a Paleo diet. You are correct it is. However, even Rob Wolff who is well regarded as a source of Paleo information uses pure vanilla extract occasionally. If it bothers you that much, feel free to leave it out.